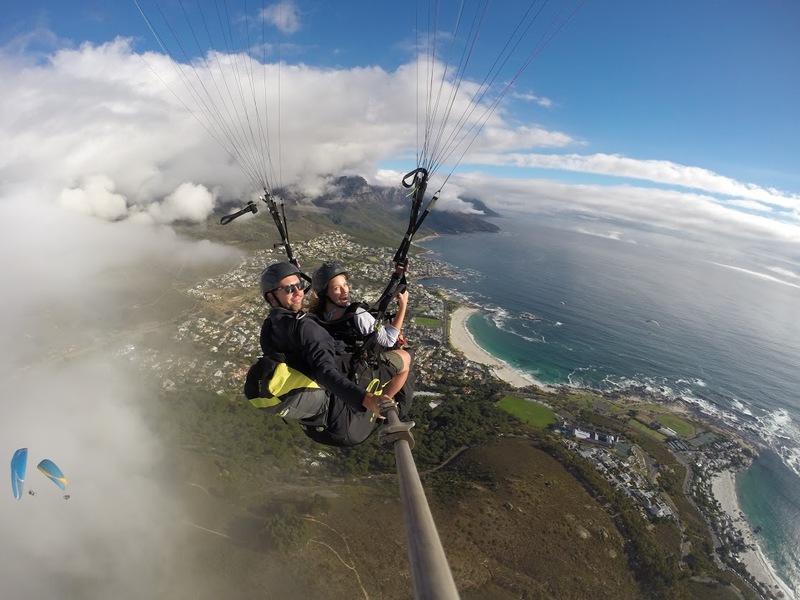 Tandem paragliding flights are mostly done from Lions Head or Signal Hill inside the beautiful Table Mountain National Park. Tandem paragliding flights generally last anything from 7 to 20 minutes, unfortunately the time spent in the air can not be guaranteed as we are totally reliant on the weather conditions on the day. 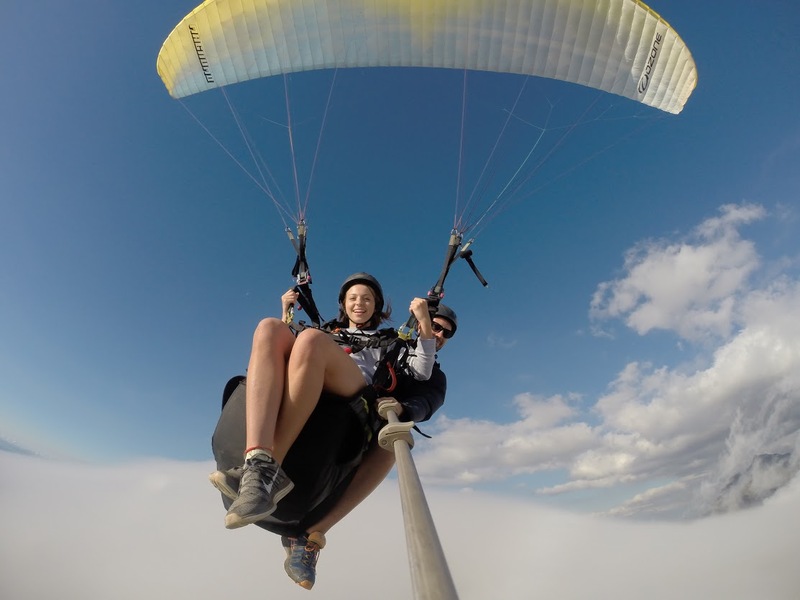 Here at Fly Cape Town Paragliding we love to paraglide and your pilot will stay in the air with you for as long as possible. Our landing fields are either at the Camps Bay High school sports field in front of the Bungalow restaurant or at the Seapoint promenade in front of the Winchester Mansions. The landing area depends on the general wind direction on the day. The cost of a tandem paragliding flight is R1300. Your pilot is equipped with a wide angle digital camera that is mounted on an extendable monopod. During your tandem flight your pilot will capture not only the breathtaking views but your smile as well. After the flight you can choose to purchase the in flight photos and video. Your in flight photos and video will be given to you in the form of a re-usable SD memory card. View our gallery to see moments captured. The cost of in-flight photography is R300. 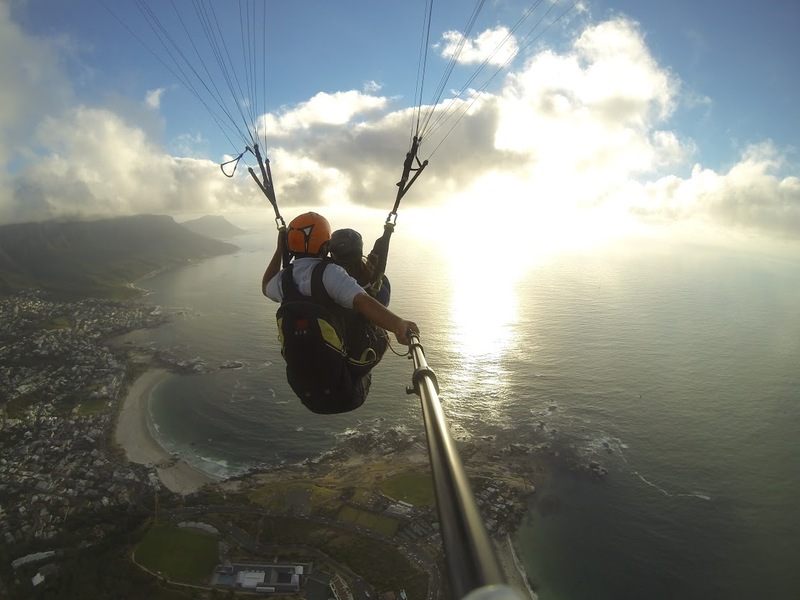 The cost of a paragliding gift voucher is R1300.